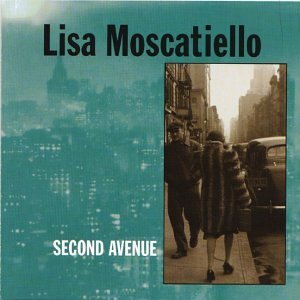 Lisa Moscatiello is a versatile, compelling singer whose rich alto voice has been compared to folk legends Sandy Denny and June Tabor. She emerged on the Washington D.C. music scene in 1982 at age 15 as lead singer for the Irish music trio Ceoltoiri. She left the D.C. area in 1984 to attend Yale University, where she sang with a jazz-oriented, experimental a cappella group called Redhot & Blue (other RH&B alums include Marina Belica of October Project, Shannon Anderson of Whirligig, and composer and Prairie Home Companion guest artist Lisa Bielawa). Most recently, she was lead singer of the folk-rock band The New St. George, with whom she received nineteen Washington Area Music Awards, including three individual awards for Best Female Vocalist in Folk categories. Lisa sings John Martyn Don't You Go with the New St. George on Putumayo's CD A Celtic Collection. Lisa has performed in a number of major festivals and concert series in North America, including the Philadelphia Folk Festival, Toronto's Mariposa Festival, the Black Mountain Festival (North Carolina), the Green Willow Folk Club Concert Series (Wilmington, Delaware), the Philadelphia Folksong Society Concert Series, and the Mays Chapel Concert Series in Baltimore. She is currently touring in support of her 1996 solo album Innocent When You Dream. She is also lead vocalist for Celtic-fusion band Whirligig, and for the techno project Arthur Loves Plastic.